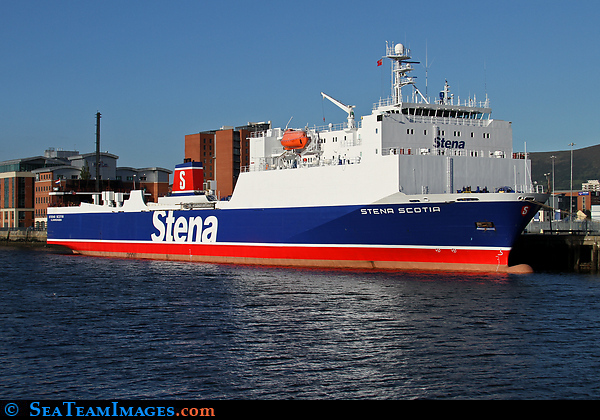 MS Stena Scotia is a freight ferry that's owned by DFDS Seaways and operated by the ferry company Stena Line. Built in 1996 at the Miho Shipyards in Japan. Operated on the route that links Heysham with Belfast, but currently laid up in Belfast.